This in, at least, two senses. Firstly as a nomad, unsettled by the confinement of a career, she utilised her grant to attend art school only partly to learn art but principally to give herself the freedom to live with a succession of Gypsy and tinker families as they progress through the English and Welsh countryside during the 1950s that she, artfully, compresses into a narrative year. Second because she was (as she intimates but never says) 'fey'. This exhibited itself in an ability to give compelling fortune readings (that she admirably describes as an admixture of intuitively taking up a person's cues and yet something other, given). It, also, shows itself in a happy attendance on ghosts and hauntings (that again, being elusive, she addresses matter of factly 'on the side'). 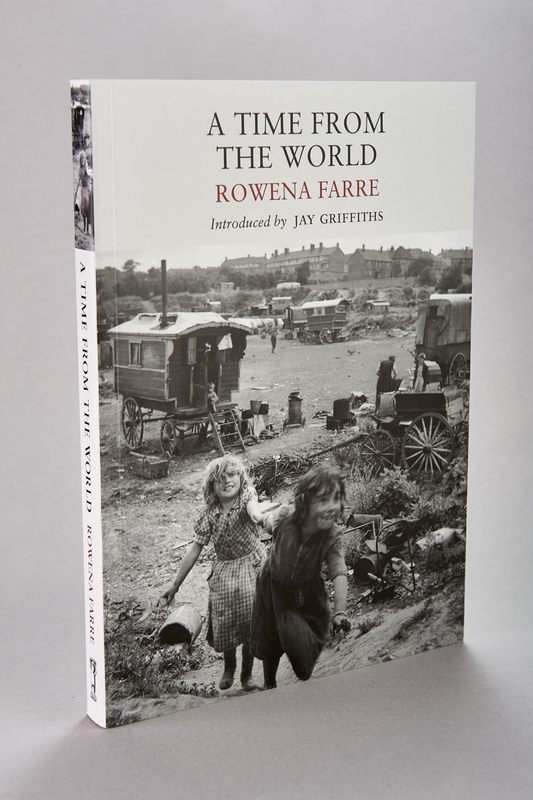 Her living with Gypsies and tinkers is told with clear, resonant, engaging prose and with a clear sightedness that, she says, mirrors the Gypsy's own lack of sentimentality. The book primarily focuses on the physical and emotional aspects of the life as lived rather than the more explicitly cultural, social or religious but achieves a resonant depth of engagement nonetheless, shot through with sympathy and with suffering. She makes intelligent distinctions between Gypsies, tinkers and mumpers (or tramps) and shows how they vary precisely in the level of choice exercised in their way of life (though she is hard on mumpers, too eager to differentiate them from (in her perception) the more upstanding Gypsy). But her quiet defence of the Gypsy is well taken - no population in Europe could be more discriminated against- and she notes, she is writing less than twenty years after the Holocaust that even yet has not won its rightful place in memory. The suffering too is on a more personal plane because as she takes up with a Diddakoi - a Gypsy man of half blood - it accentuates both the pull of the life and how it differs from her own. The book movingly recounts that unfolding and her ultimate decision and its costliness. It is beautiful and resonant book and Farre emerges as a person of unusual thoughtfulness and a gifted protagonist for the free life lived with risk, skill and determination. An added bonus, for me, is that the setting is countryside I know - Shropshire, Worcestershire and Warwickshire - including outings to my home town of Stratford - in the period immediately proceeding mine.